I think there must be some kind of quantum age-temperature inverse correlation thing going on though because my kids spent all AFTERNOON outside...NOT in the shade...and they didn't melt at all. I mean, there was giggling and running and actual playing...at the exact same moment I was making my treacherous journey from the door to the garbage can. It's a confusing world we live in friends. There's no need to complicate it further. I always hate posting simple cookies, because I feel like they aren't worth a post. (That sounds so judgemental. I promise I'm not a cookie jerk.) But I've decided to just start posting them anyway. I'm going to give them the love they deserve. Starting with these LDS Sister Missionary bust cookies. 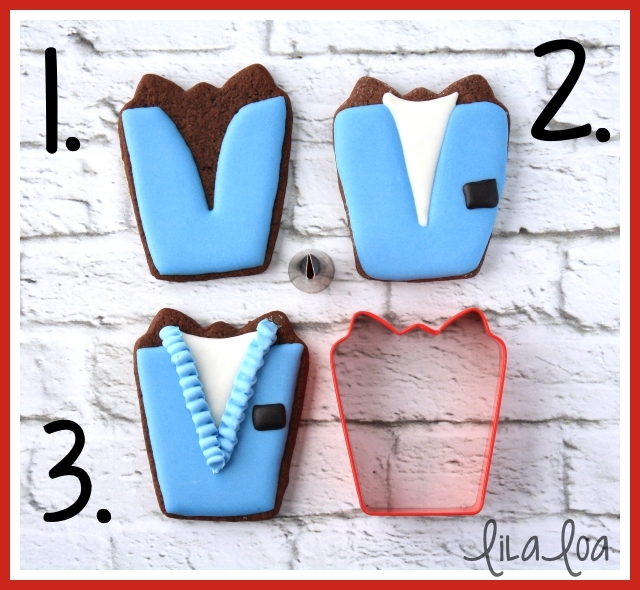 Any cookie that can be made in only 3 steps is a winner in my book. 1. Outline and fill the bottom portion of the cookie, leaving a giant gaping V-shape open. Let it dry for 15 minutes if you're using a bright color. If not...go right ahead and add the white icing. 3. Use a rose tip -- like a #103 -- and thick icing to make ruffles where the cardigan and shirt meet. Easy peasy. The end. Grab the cutters -- CARDIGAN or the GIRL. 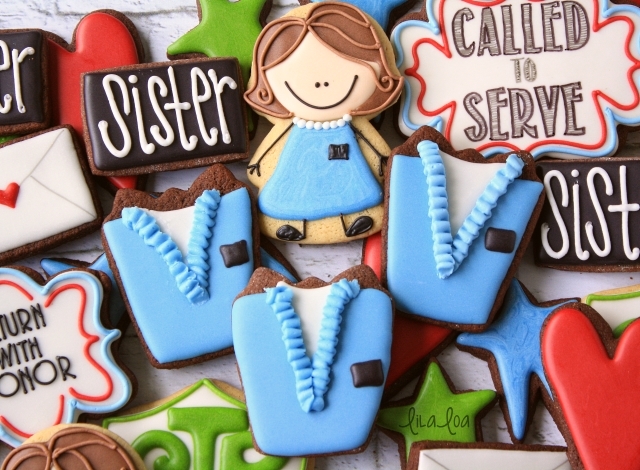 See how to make EASY LDS ELDER MISSIONARY cookies or the LITTLE MAN MISSIONARY cookies.